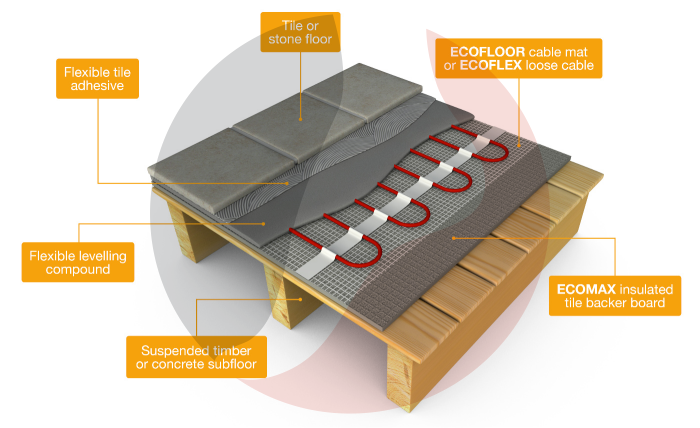 ECOFLOOR electric underfloor heating mats are made of a heating cable attached to a fibreglass mesh scrim. The mat can simply be rolled out onto the floor, making installation quick and easy. The mats come complete with double sided tape on the underside so they can easily be fixed to any clean surface. ECOFLOOR Underfloor Heating Mats have a twin conductor cable, with a single 3m “cold tail” connection. 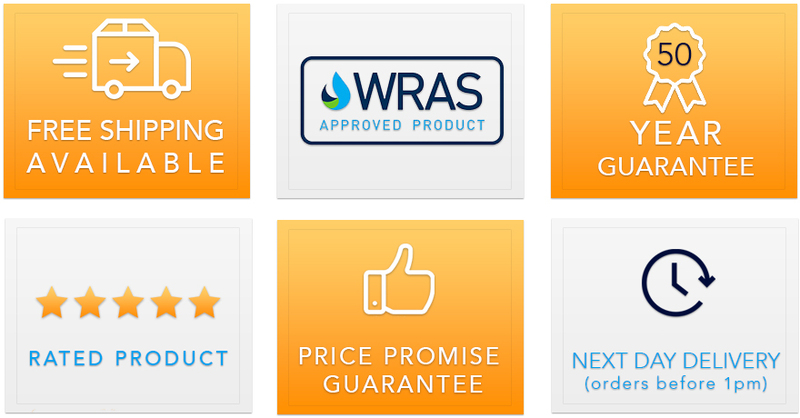 Our electric underfloor heating mats are vailable in two standard power ratings: 150 Watt mats for internal applications including kitchens and bathrooms and 200 Watt mats for conservatory use or areas where high heat losses can occur. ECOFILM PRO Professional Underfloor Heating Kits provide everything the professional installer needs..